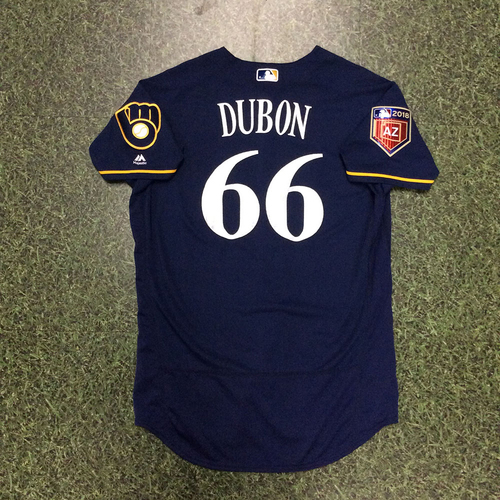 You are bidding on a Mauricio Dubon Game-Used Spring Training jersey worn during the 2018 Spring Training games, including the games on February 26th and 27th, against the Cleveland Indians and Cincinnati Reds, respectively. 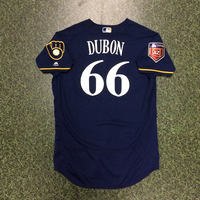 Dubon was hitless in two plate appearances versus the Indians, but singled in his 6th inning at-bat against the Reds (finished 1-2 at the plate). 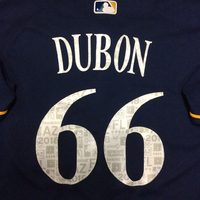 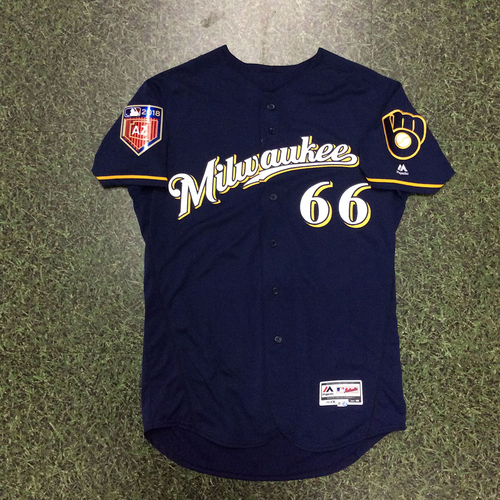 The jersey features a 2018 Spring Training patch on the right sleeve and has a sublimated Spring Training pattern on the jersey's name and number. 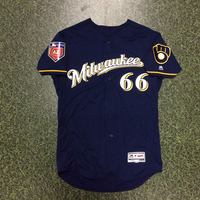 The jersey is authenticated with a MLB hologram sticker and is a size 46.